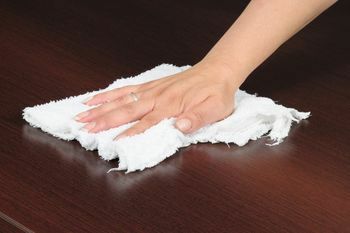 FOR ALL THOSE GOOEY, STICKY, GUMMY, GREASY CLEANING PROBLEMS, WITH VERTICAL CLINGING POWER! 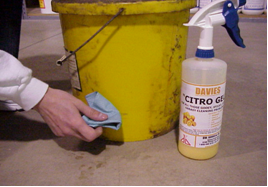 CITRO GEL Is the superior extra-heavy-duty industrial and institutional degreaser and cleaner that gets the job done with no toxins, no butyl, no acids, no alkalis, no chlorinated hydrocarbons, no CFCs, no phosphates, no bleach. 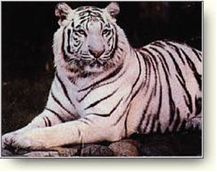 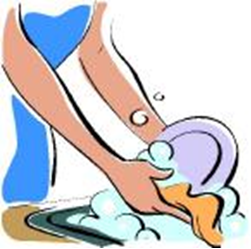 “SUDSEE” is non-ionic hand dishwash detergent for use in areas that have extremely hard water (12 grains or more). 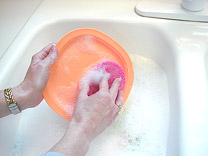 It is excellent for hand dishwashing jobs requiring rapid removal of greases and simultaneously given a complete sheet flow rinse… it is odor-less, easy on the hands, and is equally effective in cold, hard or soft water… it does not contain any true soap that could cause water spots and specs on dishes in hard water.